I have been too quiet recently. Silence usually means one thing in my world. Worry. This week has seen the culmination of some full-on worry. So I am very happy now to be able to provide an update. An update which does not contain bad news. 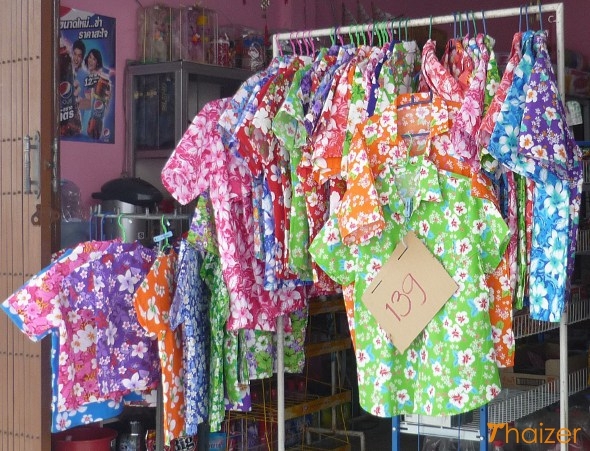 – A Doctor in a flowery shirt, nay, an oncologist in a flowery Songkran shirt. Because a Doc in a festive shirt can’t give bad news, can he? Last year when I arrived in Bangkok Airport at the start of the Thai Songkran Water Festival, my passport was stamped by an immigration official wearing a flowery shirt. That’s a first and I can tell you it made me smile. All of the immigration officials were wearing flowery shirts and broad smiles. So a flowery shirt is a Good Thing. An oncologist in a flowery shirt is an unexpected thing. And indeed he cooperated by not giving bad news in his flowery shirt. I still don’t now what is causing the spinal pain which has been troubling me recently, but a bone scan has ruled out metastasis to my bones. Causes could be an old injury, calcium depletion (thanks to cancer meds) or old age. Onc suggests old age. I high five him. Hence the hair cut. I never get my hair cut before hearing the NED words. NED – No Evidence of Disease. A haircut is an acceptance of NED. An acknowledgement that there is no imminence of nasty treatment. Treatment which might cause hair loss. As always, my preferred way of processing this mess that goes on emotionally is by writing it and there is a heap of blah coming in this space. I have been scrawling in freehand in the waiting room, in my room at night and even in Starbucks after the injection of radioactive dye before the bone scan. Those scrawls capture what happens in a mind which does not know what the future holds. They will be shared here very shortly. But for now, there is no bad news. Just a very long overdue haircut and a Doctor in a flowery shirt and big smile. Happy Songkran, Pi Mai and Thingyan Water Festivals to all. This entry was tagged bone scan, breast cancer, fear, metastatic breast cancer, NED, No Evidence of Disease, scanxiety, Songkran, Songkran shirts, spinal pain, Thingyan. Bookmark the permalink.